Valentine's Day is tomorrow and if you are still in search of the ultimate gift for your love, maybe a trip to a romantic place would make this day unforgettable. Flowers and chocolates might be an easy choice, but WhatAHotel! would love to make your sweetie the happiest person on the planet with a trip to celebrate your love. See what we think might just be some of the most amorous places in the world to kiss your beloved and with a little effort make this February 14th legendary. Paris, France is of course on the short list of romantic destinations. Considered the city of love, couples in love flock to this location every year in search of magic and passion. Everywhere you look in this city you can easily find a sentimental place to plant one on your companion. There is one place however, that might just be the best place. 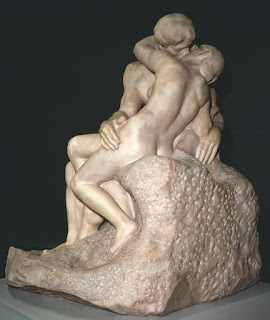 The Rodin Museum is home to the 19th century sculpture titled "The Kiss". The masterpiece is of an intimate kiss between lovers and there is no doubt that the power from the sculpture will evoke magic. As if a kiss in front of this work of art were not enough to establish passion, check in at one of the Best Hotels in Paris where you will surely find privacy and enchantment. One place might be the Shangri-La Hotel which was rated by Travel + Leisure as one of the most romantic hotels in the world. 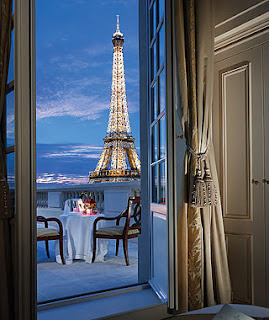 With over half of the rooms having remarkable views of the Eiffel Tower and a recent restoration of a glass dome over the hotel's exquisite restaurant, the Shangri-La Hotel will inspire amour. 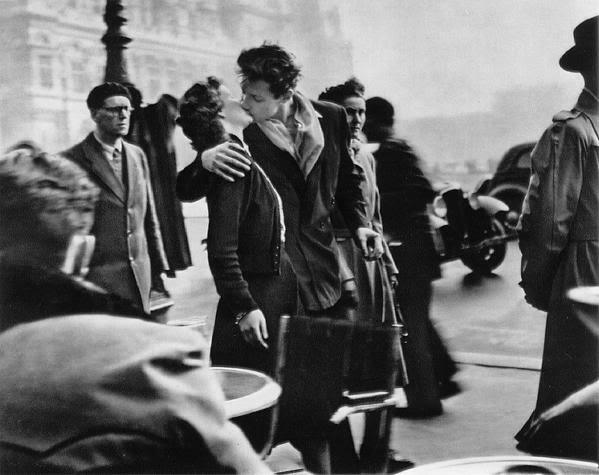 Present a trip to Paris to your Valentine and be prepared for the trip of a lifetime. Another city that seems to capture the true essence of love is Venice, Italy. The city is known for its lovely canals and couples love taking a romantic gondola ride at least once during their time here. If you happen to take a gondola ride at sunset, grab a kiss from your significant other under The Bridge of Sighs and legend says you will be guaranteed eternal love. 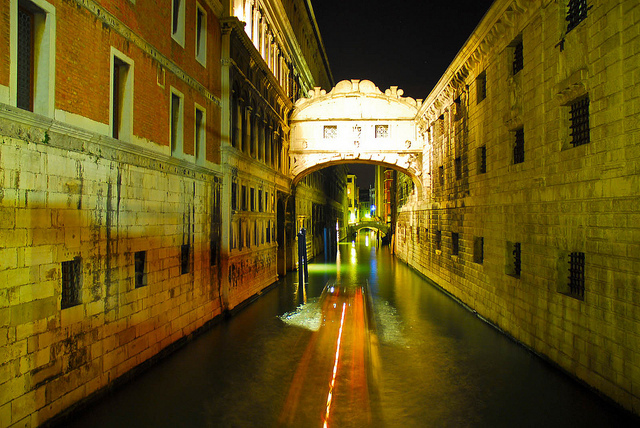 This 17th century bridge might be known for it's mystical powers, but some of the gorgeous hotels in Venice also seem to hold a power over their guests. 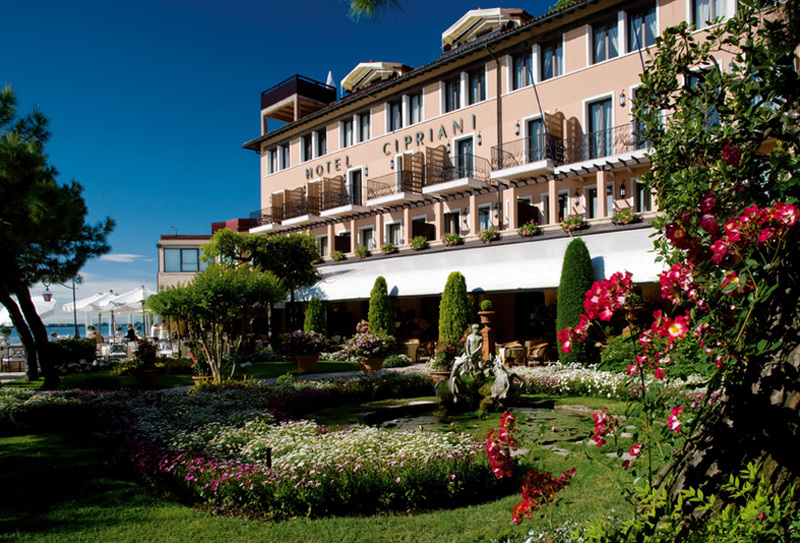 One simply stunning hotel is the Hotel Cipriani and Palazzo Vendramin located on the tip of the Giudecca Island. Breathtaking views only enhance the beauty that is found in every area of this hotel. The style of the hotel is purely Venetian and is also decorated in some artifacts from the area. Visit the mouthwatering restaurants to taste classic Italian fare with some robust Italian wines. 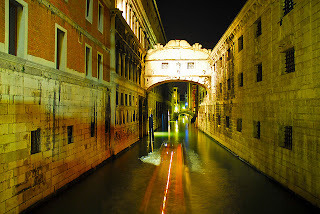 Venice is ready to welcome you and your beloved to this extraordinary city full of charm and intrigue. 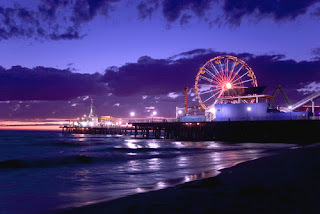 Santa Monica, California may not seem like a passionate setting, however a trip to the Santa Monica Pier might just change your mind. The pier is famous for it's carnival like atmosphere, so stroll hand in hand through the lights and noise of the festival and enjoy the fun. Head to the Ferris Wheel and steal a peck at the top just before you fall back to the Earth. This ride is completely nostalgic but will also grab your attention with views of the Pacific Ocean and the Los Angeles skyline. Sip a milkshake and devour a hot dog before heading to one of the Best Hotels in Santa Monica. 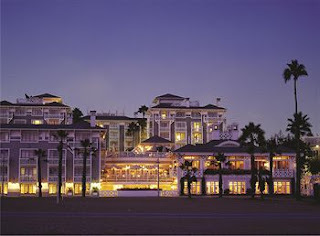 A stunning option in Santa Monica has to be Shutters On The Beach Hotel. The only thing you must do while at Shutters is relax. Try the fresh seafood or a couples massage if the mood strikes you and enjoy just being with the one you love. Santa Monica might just be the next best thing in romance. A movie favorite has to be the 1957 classic 'An Affair to Remember'. This iconic movie was made famous again in 1993 with the release of the love story, 'Sleepless in Seattle'. Both movies centered around New York City and the landmark Empire State Building on Valentine's Day. With this being the case there is no doubt that many women would be giddy if their man gave a gift of a weekend in The Big Apple for Valentine's Day. Kiss your love at the top of the Empire State Building with views of the skyline in the background, or head to a lesser known place that might be just a bit more romantic. Ellis Island was the doorway to the US and a long time ago joyful families welcomed their loved ones from abroad to a new life. The reunions became so common that a certain gate became known as the "kissing post" and today showcases a plaque honoring the special place. So head there and steal a kiss at the "kissing post" to honor the joining of loved ones past and present. 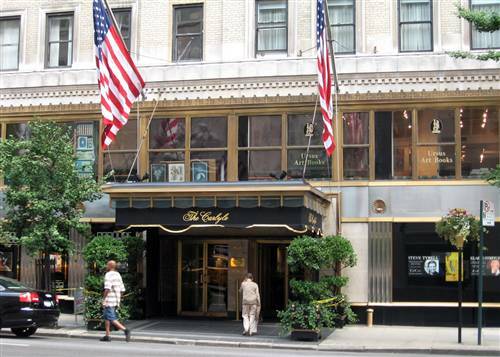 Because New York is a chic destination you can easily find the perfect romantic hotel that offers top-notch service and amenities. 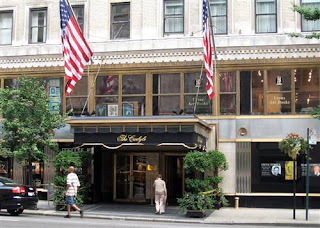 The Carlyle, A Rosewood Hotel is considered by some to be New York City's most grand hotel. Diplomats, Presidents and Hollywood's finest have all stayed in this aristocratic hotel, so a few nights here with your Valentine will surely be a thrill. Rumor has it that even Marilyn Monroe visited her famous forbidden love while he stayed in the presidential suite. New York City will tempt you and your love during your time in this idyllic city. If you find yourself in love this Valentine's Day and he or she is too striking to receive just any gift, let WhatAHotel! find a destination that shows how much you adore them. Love is in the air and sometimes the simple bouquet of roses just won't do. Show your affection for your true love in a very unique way, with a fairy-tale trip to a magical city.